For centuries during Japan's long feudal period, the martial art of the famed Samarai Warrior was jujitsu. But in 1868 Japan opened up to the West, the feudal period ended, and the age of the Samarai was over. Jujitsu could have been lost forever at that point if not for a master educator who later became head of the country's educational system. This man was Dr. Jiguro Kano. 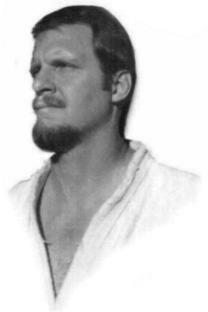 Realizing jujitsu's potential as a means of mental and physical training, he eliminated it's more dangerous and inefficient techniques and created the sport of judo. Early in the 20th century, judo became integrated into Japan's school system. From there, it spread rapidly throughout the world. In 1964 it became an Olympic sport. After studying judo for a number of years, I was fortunate enough to travel to the "mecca" of judo in Tokyo, Japan. For five weeks my two friends and I worked out at the Tokyo Police Judo Dojo in the mornings and the Kodokan, where Dr. Kano created judo, in the evenings. In between times we visited many beautiful and interesting sites such as Mt. Fujiyama, beautiful parks and gardens, and ancient temples. And we watched the All-Japan Open Championships and the Masters Championship where sensei Koga, shown here, earned a special award from the grandson of Dr. Kano. 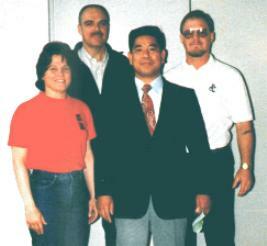 My primary teachers were Wayne Miller, Mike Von Albenslaben, and the legendary Karl Geis. Although I learned from Sensei Geis the shortest period of time (about a year-and-a-half) I feel that he had the most profound effect on me, both in judo and in my life. At that little dojo in the woods I learned from many others. There were Ray Richards, Mitch Martin, Rick Riggs, Charlie Robertson, Elaine Meyers, and so many others. Some were fellow teachers, some were students, but all were my friends. 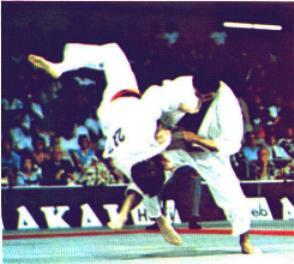 All in all, judo enriched my life and had a most profound effect on it. I am very fortunate to have been a part of it. It is a huge part of me.